Kristina Watkins, Summit Sotheby's International Realty – This is YOUR adventure. I frequently have clients tell me they want to schedule their trip only when the snow is “good.” Well, first, unless you’re skiing 70 days a year, literally anything we have here in the great Rocky Mountain West is going to be ‘good.’ Second, even if we aren’t blessed by epic storm after storm, you’re going to have a great time because baby? We MAKE snow. Snowmaking is a reasonably simple theory, a fine mist of water sprayed across a fan = snow. But the devil is in the details; the temperature needs to be below freezing (27* is premium), generally somebody has to physically walk from hydrant to hydrant to turn the water on, it could easily take an hour to begin snowmaking on say the Payday run. Since sometimes the snowmaking window is only an hour long, frequently it doesn’t make sense to start the process. At the luncheon with Deer Valley president Todd Shallan, former president and current Alterra advisor, Bob Wheaton, and head of Vail’s Park City Resort, Bill Rock, explained some advancements that their resorts are investing in. Bill explained that investing in automation has all but solved the issue of setup time for snowmaking; rather than walking from hydrant to hydrant, they are able to simply program their snowmaking so it takes advantage of those small windows of cold temperature. Bob, with Alterra, pointed out that snowmaking technology has advanced rapidly in the last five years. It is possible, he says, to make snow when the temperature is above freezing. They use frozen microbes (USDA approved), which lowers the freezing temperature of water. They also blow a larger particle out of the snowgun, so the snow that they’re making has a lower water content and more cubic feet of snow per gallon of water. This is mind-blowing, and I can’t wait to hear more about it. Incidentally, did you know that for the low low price of only $699 you too can have your own snowmaking machine? I’m actually pretty excited to start seeing this topic appear in HOA meeting minutes. At the ski resort update luncheon, and as part 2 of this series, Bill Rock, head of Vail’s Park City Mountain, explained that they have invested a tremendous amount of money into snowmaking infrastructure, including automating the process so they can take advantage of those windows of cold temperature. Keystone and Breckenridge had opened for their season the day before (!). One thing Vail really wanted to invest in was reworking the beginner area, with the goal of offering the finest teaching terrain in the country, added new adventure trails, new grading and more high-tech snowmaking. Last year they had to hand-shovel snow to keep one trail open, so this year? It’s got brand-new snowmaking. One big goal they achieved over the summer was to remodel Cloud 9, as there was always limited seating. So, they added 200 seats and huge glass walls to take advantage of the views. At the Midmountain Lodge, they repainted the building to better match the original color of the historic structure (you know this wins points with me). And, they added an official bar, so now you can get a glass of wine on mountain. They also have been reworking the built-ins and firepits to model the decks after European resorts. Developing the parking lots is a topic of much speculation at both resorts. Bill explained that Vail tries to find partners who are in the real estate development business and then work with them to develop their real estate to enhance the skier experience. They’ve been working on a plan for the base parking area for many years but haven’t fleshed out a plan or chosen a development partner yet. But, one complaint they always receive is with the entire parking experience. So they’ve implemented a few changes that are making a difference, including making sure the people parking there are there to ski (offering remote parking locations for employees, for instance). They’ve also outsourced the day to day management to event parking professionals that handle big sporting events in Salt Lake City. Their review score went up last year over the year prior by 2 points on a 10 pt scale. He was also proud to discuss the resort’s environmental responsibility. Taking over from Powder Corp’s initiatives, they announced last year Project Zero, whereby they aim to reduce both their carbon footprint and waste to 0. They had a huge energy audit, and have completed a full conversion to LED lightbulbs, and have dropped one-time use plastics on mountain. On the zero waste front, Salt Lake City is building a “digester” that eats up compostable trash and converts it into energy. Every winter, the Park City Board of Realtors wrangles up the heads of the local ski resorts for a discussion on what is up and coming at their particular resorts. It’s one of the most well-attended luncheons, and for good reason. Bob Wheaton, the former President and COO of Deer Valley Resort, shared his time with the new President, Todd Shallan. Bob has been with Deer Valley Resort for over 40 years, working his way up through the organization. He is now moving into an advisory role to DV’s parent corporation, Alterra Mountain Company. He was proud to announce that Alterra’s philosophy lines up with DV’s in terms of service, community involvement, and skier experience, and noted that they look to the individual resort presidents for guidance, which is a sharp contrast to many corporations. He has long joked that three things can never change at DV: ski-only, the skier cap (limiting the number of tickets that can be sold per day), and the turkey chili. When asked if there were plans to allow boarding at Deer Valley (there are equally plausible rumors on both sides of the question), he announced that if Bill Rock of Vail didn’t do such a good job with Park City Resort, which does allow boarding, then there would be much increased pressure to allow boarding. As it stands though, there is enough quality at both resorts to give guests great options. He was less clear on whether Alterra plans to connect Deer Valley and Solitude. Deer Valley acquired Solitude 4 years ago but when Alterra acquired Deer Valley (over the total solar eclipse, fill in your own punchline), they did not acquire Solitude. By some technical do-si-do-ing, Alterra acquired Solitude 2 months ago. My *speculation* is that Deer Valley will at some point take over winter maintenance of the state road Guardsman Pass between Empire Pass and Solitude and Brighton. 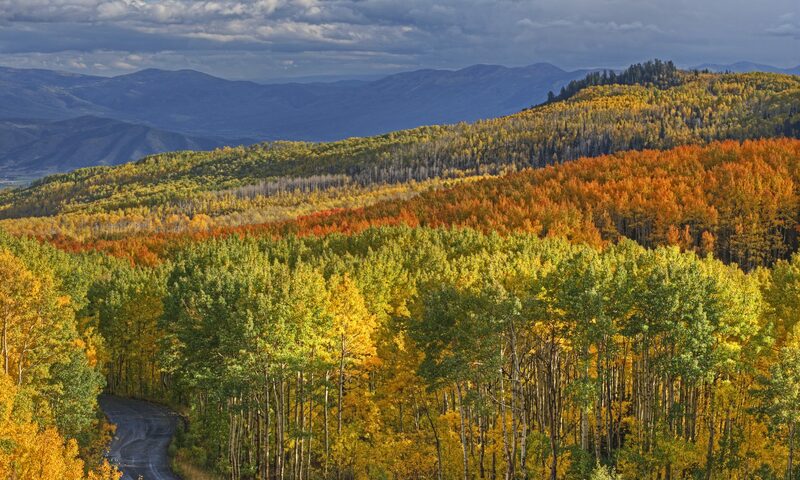 The state closes this road in the winter, which means Park City area skiers that wish to ski the Big Cottonwood Canyon resorts drive to Salt Lake City, and then come back up to Solitude/Brighton (or up Little Cottonwood Canyon for Alta and Snowbird). Bob did mention that Alterra is looking to improve the experience at Solitude including lodge and dining, but he didn’t have more details. Todd Shallan introduced himself and explained that though he had 30 years of hospitality experience, he had no ski resort experience. I see this as notable information, and I imagine that decision was made in keeping with the more diverse winter vacation needs; people don’t just take ski vacations to ski (or board). They want to have an experience, they want to live the life for a little while, they want to ski and ride the horse-drawn sleighs and go fly fishing in a frosty river and enjoy a world-class meal in a remodeled miner cabin on Main Street. I get it. And with experience managing the Hotel Del Coronado and Beach Village and the Arizona Biltmore and Spa, Todd certainly seems to have the ability to maximize that sentiment. He explained that Deer Valley has invested between $6-7M this summer, including replacing Homestake chairlift with a high speed quad, investing in snowmaking and equipment, and has his eyes set on the lodges (Snow Park, Silver Lake, and Empire Pass) and Food & Beverage, and refreshing staff training for the level of service they’re trying to achieve. One topic on everyone’s minds is the Mayflower project; interestingly, Todd volleyed the update request back to Extell, the developer who has most recently obtained master plan approval. He said they are in discussions of how that partnership will work but there’s no real timeframe as far as Deer Valley is concerned. He also mentioned that he doesn’t see changing the skier cap as that really changes the whole equation at Deer Valley. One other question we always ask is when will the Snow Park parking lots be developed. I am expecting retail, dining and shopping on the ground floor, condos above, and underground parking (same as we’re expecting with Park City Resort). Todd reported that this development would happen with Intrawest who does a lot of development and the timing of that project is tied to Mayflower, so until there’s a master plan which will take a few years, there’s nothing really to report. He did mention that since they’re going to keep using the lots as lots for the time being, they do plan to make them more attractive. No word on the turkey chili recipe. As such, it’s a prime property for summer and winter: winter because it’s ski-in/ski-out. But summer is an interesting one, not because of conventions or long summer bookings like we see at other properties. Nope, Black Diamond is where you want to be in the summer because you are looking down at the Snow Park amphitheatre and maybe you’re new to this but Deer Valley puts on some amazing concerts ALL. SUMMER. LONG. This property is listed by a colleague of mine at Summit Sotheby’s International Realty, and for the moment, listing details can be found here. And here is a casual video showing. Many times great properties will come to market and if you’re out of town, you can’t just drop everything and come walk through. So, one of the services I provide is to walk through properties you’re interested in and film them so you can get a much better feel for the floorplan. If you see a property online that you’d like more information on, please let me know and I’m happy to film a walkthrough for you. Under contract in the SLC! 1910 build, gorgeous curved front room, tall windows, awesome neighborhood. Excited for my buyers who will really make this house SHIIIINE. Just Sold at Lodges at Bear Hollow Village! Congratulations to my buyers on their recent purchase! What a gorgeous time of year to own a beautiful Lodges at Bear Hollow Village condo, just in time for the summer concerts and the mountain biking season. Let me know if you’d like me to keep an eye out for something special for you too!